Colanders can make the perfect outdoor planter. You can upcycle your old colander into the perfect planter with a few simple materials. If you are looking to add a pop of color to your colander, you can always paint your colander out to your desired color. 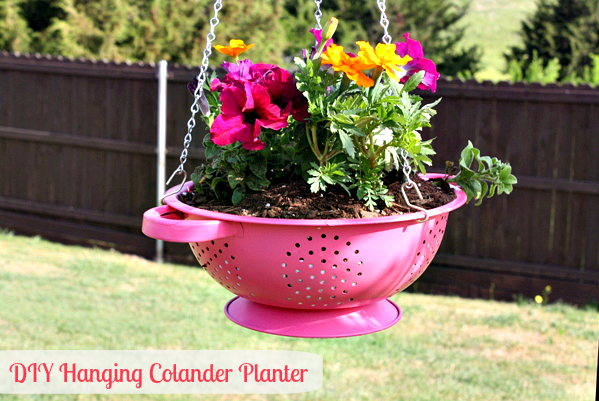 Click here to visit Mommy's Kitchen and to find out how to make this perfectly pretty and functional hanging colander planter.